To excel in today’s online world a real property agency needs a powerful fully-fledged theme with specialized functionality, newest features, and powerful tools. Such solutions are available nowadays thanks to real estate WordPress themes. Let’s find out how WordPress themes can take care of your online presence. A great number of websites use the most user-friendly content managing system WordPress that allows website owners to add any type of content easily. Ready-made WordPress themes can be easily customized and the resulting design will be absolutely unique and inimitable. The WP templates are fitted with efficient widgets and multiple plugins, and it helps to extend the functionality of the site. The user-friendly admin panel allows adding photos, videos, and texts in an extremely easy manner. You don’t need to undergo special training to master using it. The themes go with fascination tools for customization. You can change color schemes, layouts, add pages and sections, sidebars, buttons, and other static and dynamic elements. The changes to the initial look make your website more noticeable and standing out in a crowd. The themes use a mobile-first paradigm. The responsive design let the site fit any screen size and look fantastic whether it’s a tablet or a mobile. You can reach out to 24/7 support in case you have any troubles with mastering the theme or its installation. 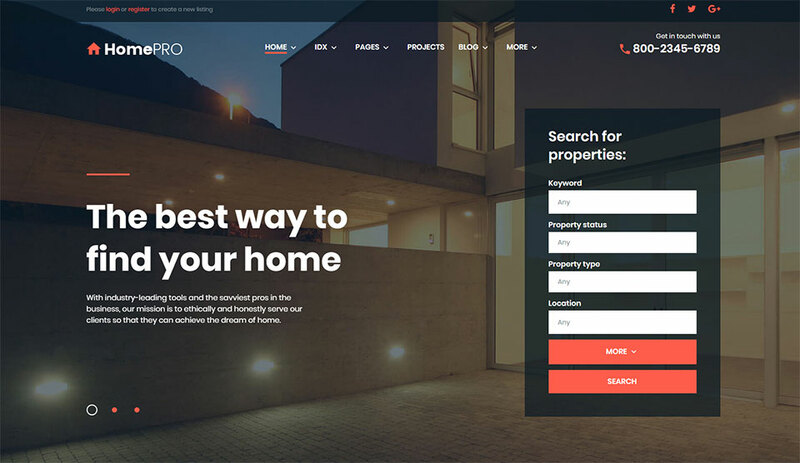 How can a real estate agency stand to gain with a WP theme? What draws so many business owners to WordPress themes is their accessibility. They are time and cost saving because you buy an all-in-one solution. WordPress themes can increase the opportunities and enhance the productivity of any real estate agency. All the themes in our selection go with a niche-fitted functionality and really help in managing real property issues. 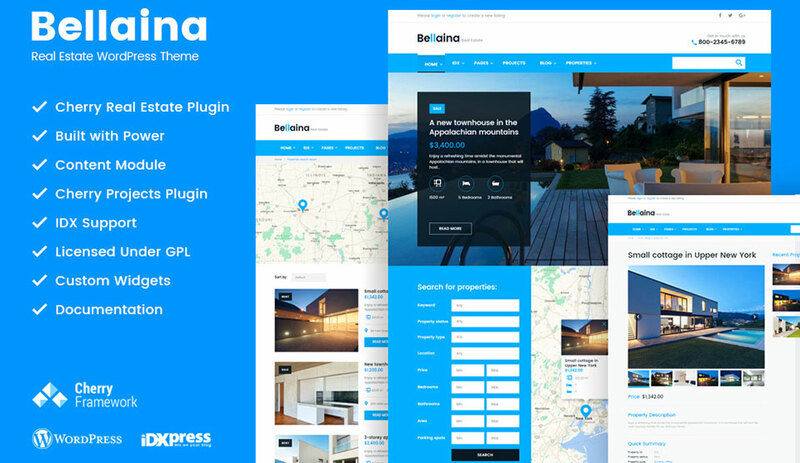 These templates provide real estate agents and brokers with amazing tools to manage listings, showcase all kinds of property, launch email marketing campaigns, run a custom client management system, and much more. The pre-designed pages are tailored to real estate developers and have special sections to present services, team and real estate listings. 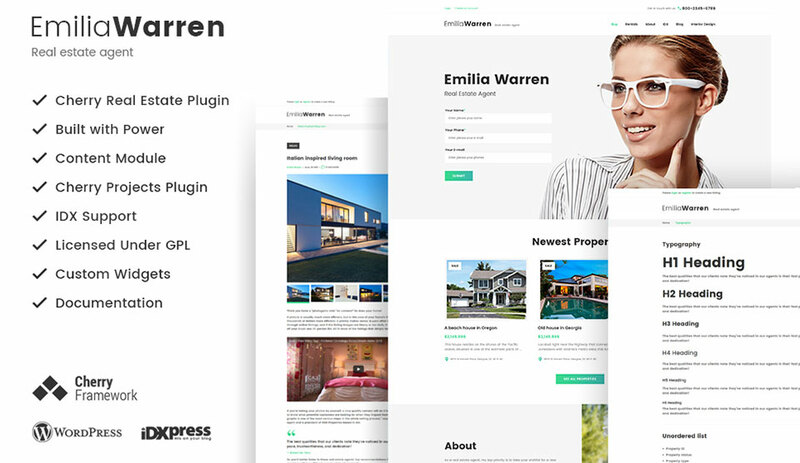 Let’s move from words to action and have a look at some of the best WordPress templates crafted with care to fit the niche of real estate acquisition. Make sure they have all the impressive features mentioned above. Some of them might inspire you to create your own website. Being fully responsive and cross-browser compatible, this elegant WordPress theme will look ideally on any handheld gadget. It is equipped with a powerful Real estate plugin which allows displaying any kind of property to the best. The theme is flexible and fitted with multiple modules, a library of presets and is extremely open to customizing. 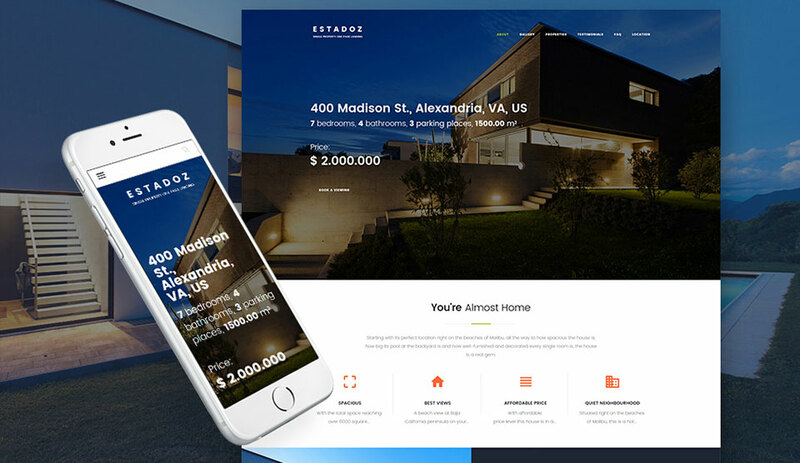 This clean style theme with responsive design has all the modern features to represent your real estate business in details. The special Cherry plugin allows your visitors to search property with many filters and to leave property submissions. The theme goes with beautiful galleries, a rich choice of header & footer styles, multiple layouts, and a revolutionary drag-and-drop page builder allowing you to create a unique look of your website up to your taste. Designed by industry leaders, this template impresses by the fast and reliable performance, professional look and rich customization options. 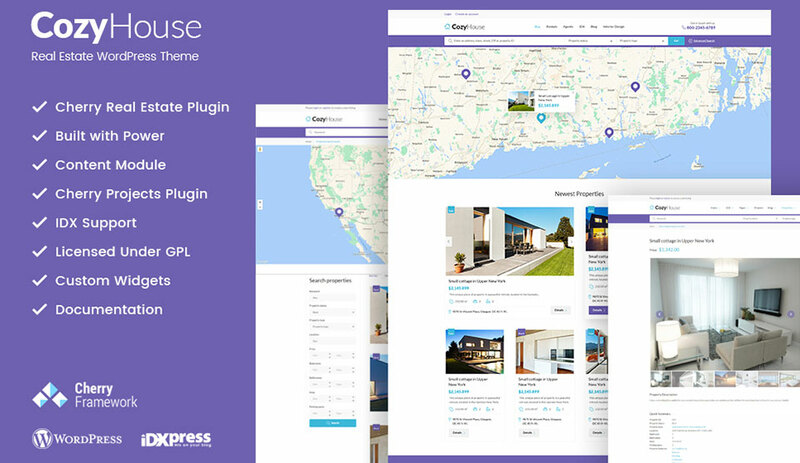 A special plugin will let you showcase real estate units with style and in smallest details. The theme provides you with the ease of installation, the simplicity of an editing process in a real-time mode, and detailed documentation. This elegant responsive theme is designed to grab visitors’ attention and give them comfortable online service. 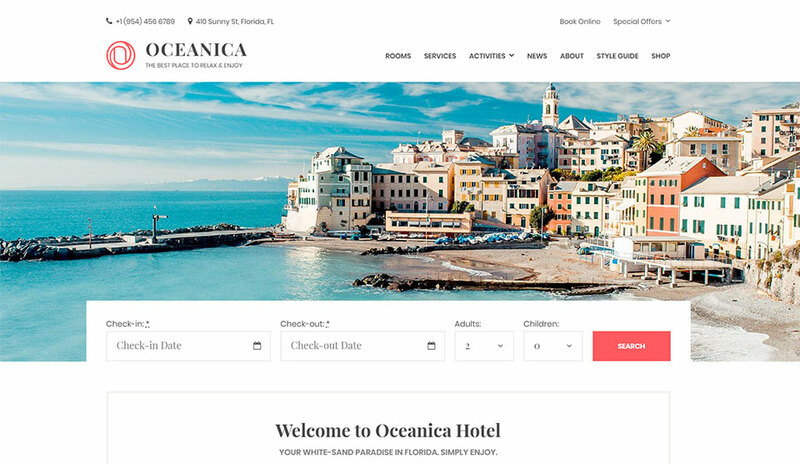 The theme provides visitors with a user-friendly navigation, an advanced search, showcases a wide range of the real estate items and allows instant live bookings. Moreover, with proficient customizing tools, you can create a unique look of your website in a matter of few clicks. 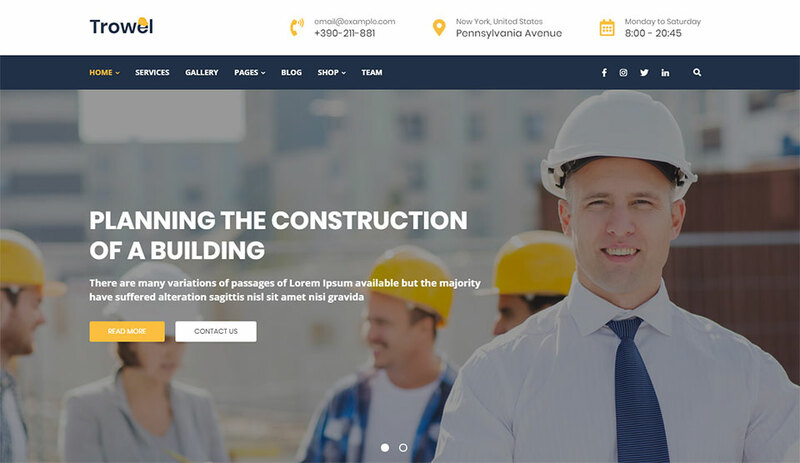 Have a look at this responsive theme with unique functionality connected with construction works and repair services. It goes with 3 homepages from which you can choose the most suitable, several headers and integrated Google maps and fonts. The theme can be translated into other languages, has well-detailed documentation and a great technical support. 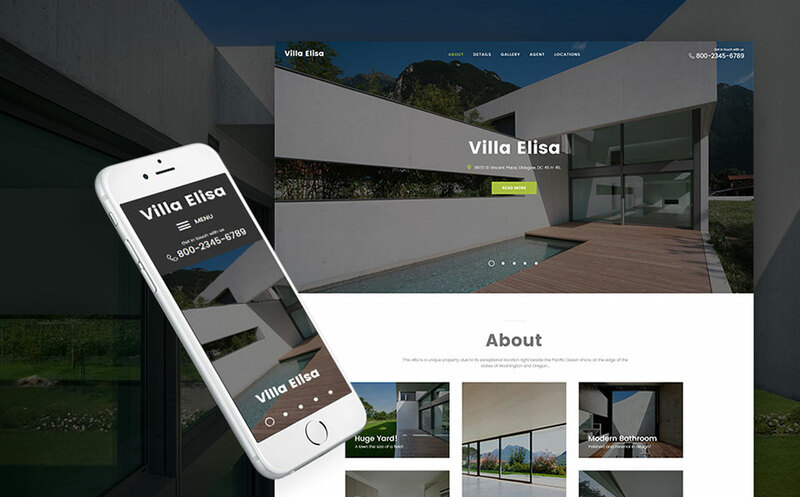 This real estate theme has an image-oriented design, which showcases the best houses or apartments for a viewer’s attention. You can create a beautiful website within a minute using a demo install and then spice up it with multiple widgets that go in a pack. You can edit your website in a visual mode and make the navigation easy with the help of Mega Menu plugin. Set up a great website to promote your real estate services online, using this light-weight airy theme with strong functionality. If you need to change the appearance of your website, it has a wide range of customization options. The theme supports a specialized Cherry plugin to make you management of real estate issues as comfortable as possible. Any hotel owner will appreciate the fantastic property management system and the professional design of this easily customizable theme. It is possible to add various blocks, objects, and elements using Live Customizer, and create your unique site’s layout with drag and drop Elementor page builder. Your customers will enjoy the easy booking process, secure payment and user-friendly navigation of the site. 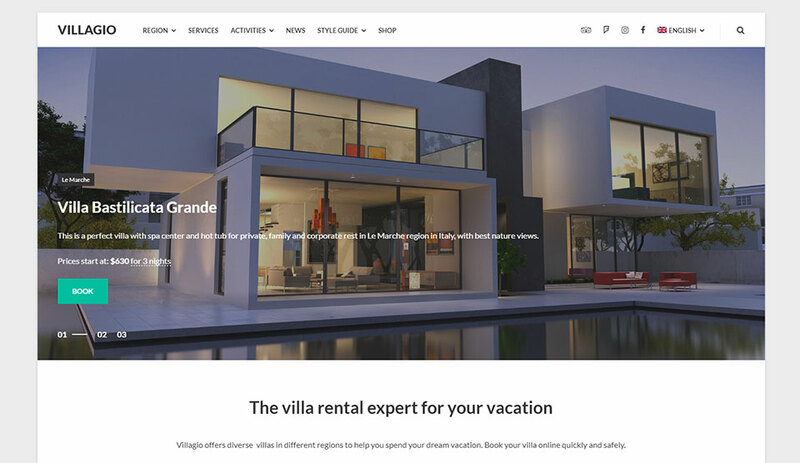 This smart WP theme in minimal style focuses the visitors’ attention on the best property your agency can provide. Your audience will be engaged in the real estate catalog, and a newsletter subscription that will let they stay informed. Cherry pages will display all the necessary information about your team, services as well as loyal clients’ feedback. Meet one more top-notch theme for real estate activities, which boasts a great functionality and flexible structure. You can easily adapt the theme to your needs with the help of the WP Customizer and also compose professional-looking layouts with no coding skills. The theme is fitted with a slider, post carousel and social widgets that make your online presence stronger. As you can see, these unique templates suit real estate niche perfectly well. They will help you as a broker behind the scenes and finally lead to prosperity. 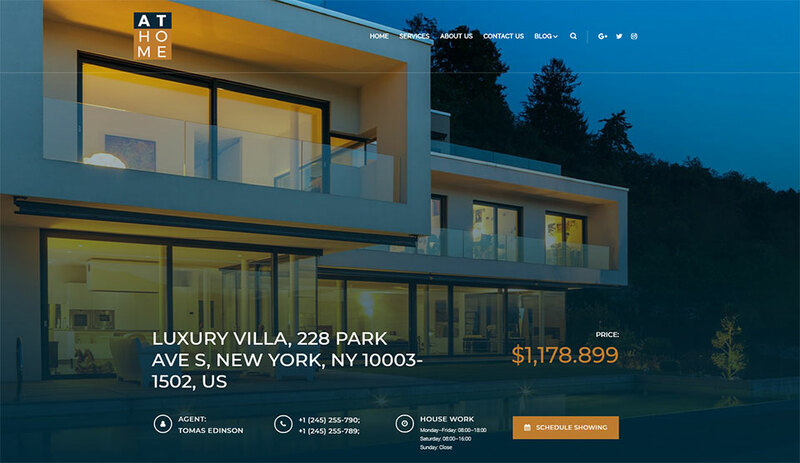 If you are still in a doubt, browse our collection of real estate templates to find the perfect design for your website.